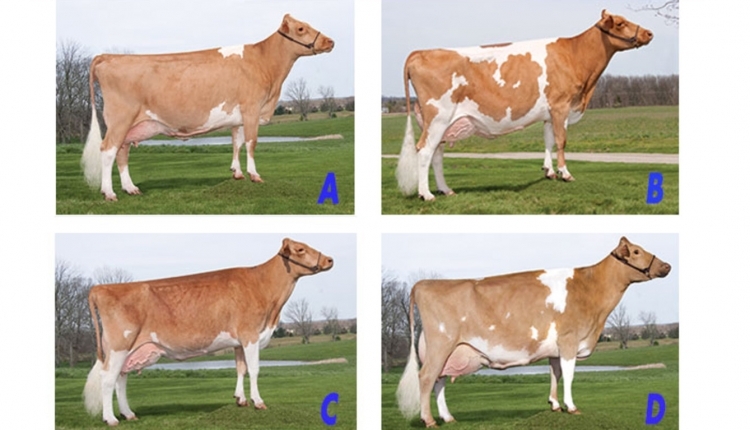 It is a pleasure to place this class of Guernsey cows D B C A. D leads out this class as she excels in overall style, balance, and dairy strength and easily has the best udder in the class. She places over B in the initial pair because she exhibits more strength and power through the front end, she is deeper in her heart, and carries that depth through in both fore and rear rib. D also has an advantage in height and width of rear udder, and her fore udder blends smooth to her body wall. I do grant that B is slightly more balanced in her rear quarters. 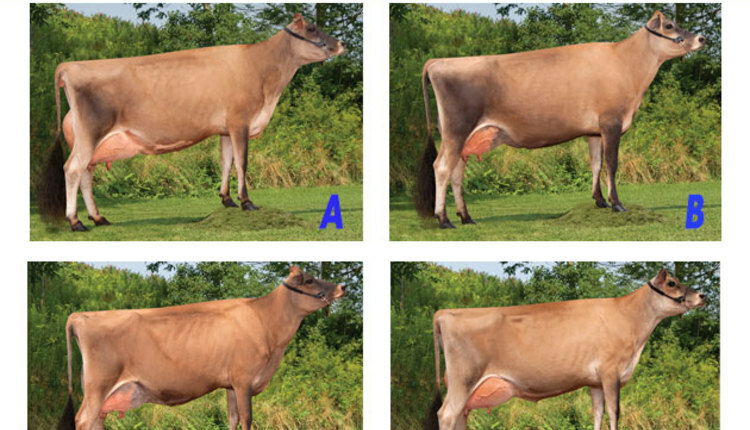 In a close placing, B uses her sharpness, angularity, and open rib to place over C. B is sharper at the withers and longer in her neck and body, giving her an advantage in overall dairyness. 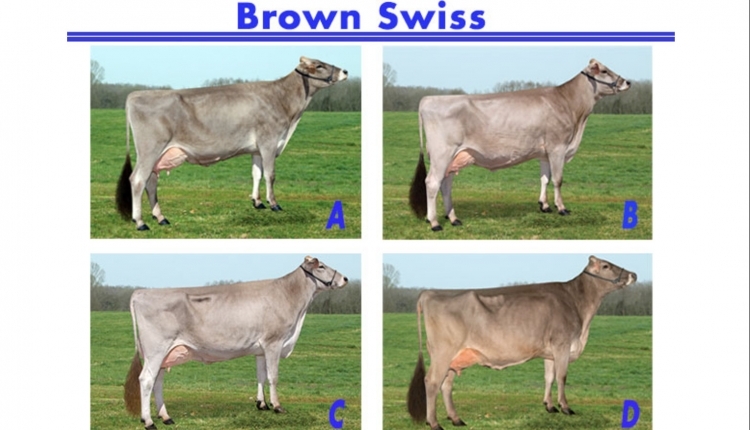 In addition, B is neater in her tail setting and has a more desirable teat size and shape. I do admit that C displays a more visible crease in her rear udder. In my final pair, the more youthful C has the advantage over A when you view her legs from the side. She stands much straighter and she is deeper in the heal, criticizing A for having too much set to her legs. C displays a flatter bone throughout, and she is much cleaner over her pins and down through the thigh region than A. A does display more width to her rear udder and is deeper in her heart and chest. However, A lacks the smoothness in her fore udder attachment and soundness of feet and legs to justify a higher placing. Carrie Chickering-Sears of South Deerfield, Mass., placed the Guernseys. 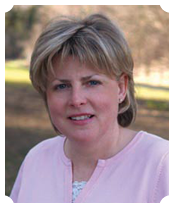 Carrie is the director of community education in animal ag at the University of Massachusetts-Amherst. 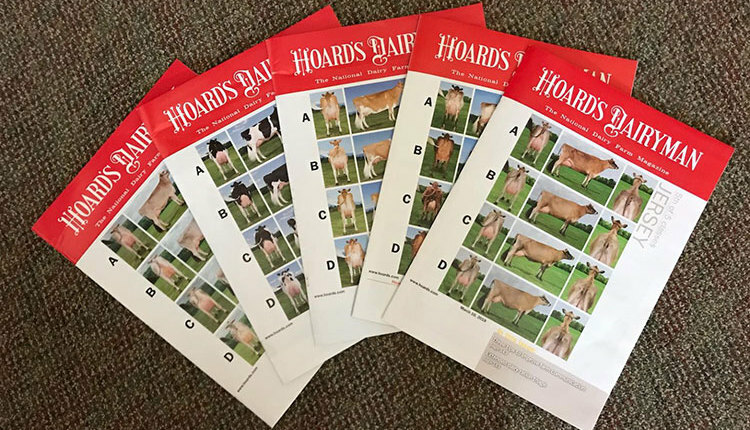 In 2008, her family won the family division of the Hoard's Dairyman Cow Judging Contest. She has served as both an associate judge and judge at World Dairy Expo's Guernsey Show. Carrie, husband David, and daughter Ashley farm 800 acres in western Massachusetts. 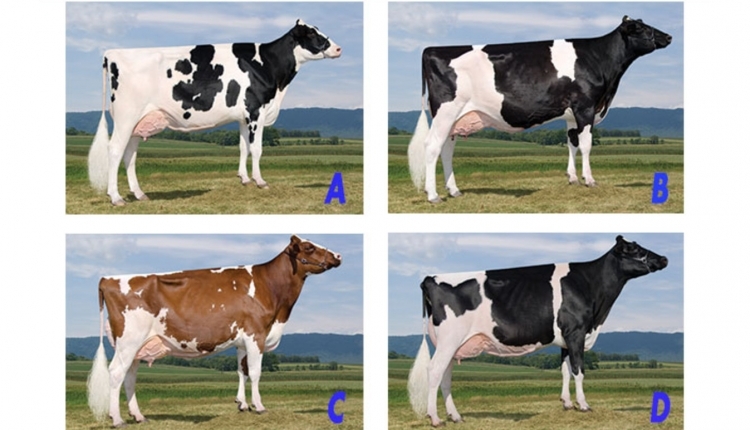 They have bred numerous nominations for Guernsey All American and All Canadian. In 2007, daughter Ashley's homebred cow, Pistachio Pie, became the first cow to be named Supreme of both the open and junior shows at Dairy Expo.